(Reuters) - Kansas became the first state to ban a common second trimester abortion procedure when Governor Sam Brownback, a Republican, on Tuesday signed into a law an act to halt what lawmakers said are "dismemberment abortions." The law that goes into effect on July 1 prohibits the use of dilation and evacuation. The bill says the procedure can result in the fetus being extracted in pieces. Supporters in Kansas have called the procedure horrifying while women's healthcare groups have said it is considered the safest way to terminate a pregnancy in the second trimester. The law allows for the procedure to preserve the life of a pregnant woman or when the mother's health is in serious jeopardy from the pregnancy. Republican-controlled Kansas has taken a leading role in imposing restrictions on abortions, with more than 20 measures being enacted since Brownback took office in 2011, according to the Guttmacher Institute, a research group that supports the right to abortion but whose research is cited by both sides in the debate. 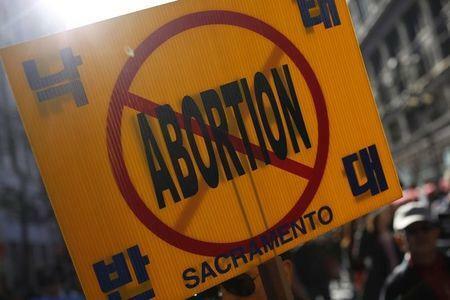 The procedure is used in about 8 to 9 percent of abortions nationwide and similar bans are being considered in Oklahoma, Missouri and South Carolina, it said. Nearly 90 percent of U.S. abortions take place in the first trimester.